Quick Service Restaurants have transformed the urban culture of dining, as more and more global brands are eyeing the Indian market as a lucrative ground for investment. Quick Service Restaurants have transformed the urban culture of dining, as more and more global brands are eyeing the Indian market as a lucrative ground for investment. Being an essential segment of the Indian food services market, QSRs are inducing innovation to keep their foothold strong in the market. Quick Service Restaurants have been a key growth driver for the Indian Food Services market, and have grown rapidly over the years. With a meager contribution of just 2.3% to India's GDP, the food services market is worth INR 247,680 crore (USD 48 billion). Besides, it comprises food services in the organized sector as well as the unorganized. Further, the market is projected to grow to INR 408,040 crore (USD 78 billion) in the next 5 years that is by 2018, according to a research report- QSR market in India. Owing its success to focused, affordable and competitive pricing clubbed with catering to the growing consumer need like convenience, increased appetite, and craving for international food. A number international QSR chains have flocked to India over the past few years, with specific cuisines and product offerings, fuelling the market's growth. However, the entry of a number of players into the QSR space has further widened the chain market to an estimated size of INR 5,500 crore (USD 1,060 million) in 2013. Besides, the study projected to grow at a CAGR of 25% to reach INR 16,785 crore (USD 3,230 million) by 2018. Optimistic about the Indian market brands like Jhonny Rockets, Burger King have ventured into the Indian markets, and the existing brands are constantly inducing new trends to stay in the game. Commenting on the Indian QSR, Duane Messerschmidt, Director-International Sales, Johnny Rockets, said: "India continues to emerge as a consumer-driven economy. It also represents the largest under-35 age demographic in the world and has a growing upper-middle class population. All three of these conditions are particularly attractive to retailers. Rural population moving into cities and newly established towns is also an advantage, which has created more concentrated economic development throughout the country. 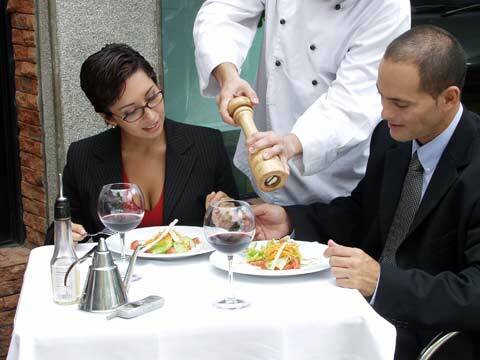 For restaurants, this means that more people with more disposable income are dining out much more often than before." Moreover, the segment is expected to witness increased activity via market expansion and entry by various players. At the city level, a large share of the QSR market rests in metros and mini metros due to higher consumption, heightened consumer awareness, and exposure in key cities such as Delhi, Mumbai, and Bangalore. Gradually, QSRs have established their foothold in the major cities and are now expanding into smaller cities with smaller formats. "Though FATBURGER is famous for its freshly made burgers. We have so much to offer to our global fans in terms of variety and flexibility in our vegetarian and non-vegetarian flavour options," says, Andy Wiederhorn, CEO, FATBURGER. At the same time, Tanmay Kumar, CFO, Burger King, believes that going desi in India is the only solution to place your brand in the country. However, Burger King will be serving its authentic plus Indianised burgers in the country. Amidst, major challenges such as food price inflation, high attrition rates, competition from small unorganized outlets, and much more have motivated global QSR brands to strengthen their foothold in the country by bringing in new tactics to tap more consumers. In a nutshell, it can be concluded that the quick service restaurants have not only changed the very face of food services market in India, but has also spiced up the competition to sustain in the market. Besides, International players have added on to the challenge by bringing in new trends.